It is always a pleasure to talk to a director who is independent, creative and uncompromising in his directorial vision. 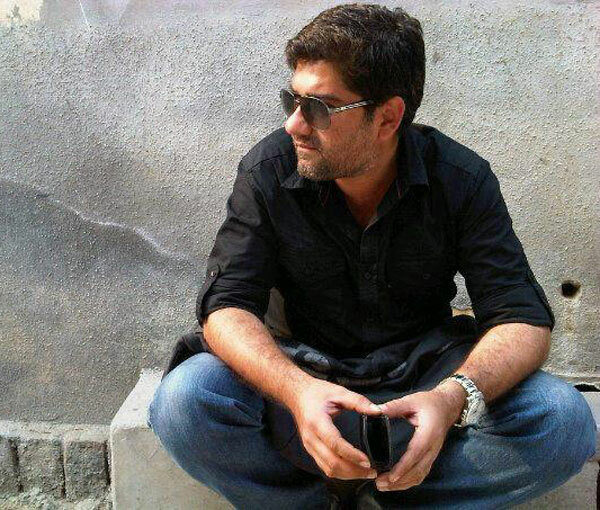 During our discussion, it is clear to see why Waseem Sabir is one of the most sought after television director of the current era. “The sad truth about Indian television is that it is extremely commercial” states Waseem. Yet immune to the pressures of ratings and commercial success, this young director chooses to get involved in shows like Veera, Maryada, Phir Subah Hogi… stories that have left a powerful yet understated influence on Indian television. 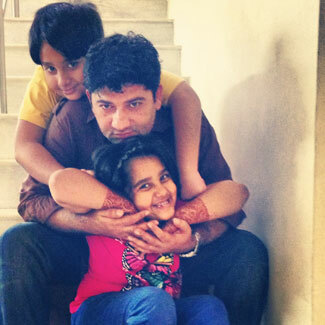 Tinsel Gupshup brings you Waseem Sabir, the director who is all about playing with emotions. TG: as a general viewer, I have a sense of what the director of a show does. Can you tell us some aspects of your role that we probably don’t know about? WS: Usually, people say that movies are a director’s medium. I would say that television is a writer’s medium but that does not mean that a director of a daily show does not have an important role to play. A television director is responsible for conveying the thoughts of the writer, creatives and channel while adding his bits of creativity and vision to each and every scene. So, a director does not write the scene, he does not write the story but he executes what is written and puts it on the screen. Of course, my role as a director varies from show to show. 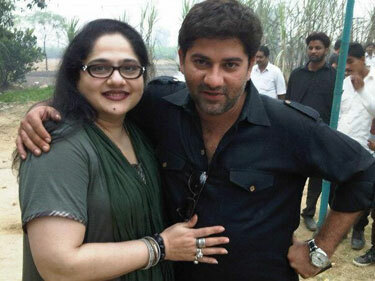 For example, Veera was probably one of the most difficult shows for me as a director. This is because Veera was a very simple story…it was a basic story of a brother and sister, a mother and her son, a daughter who is adopted, so it was a very basic story but there were complex emotions, complex relationships and those complexities in a basic story made it a very challenging show for me. We are given a scene by the writers and we are given a vision or perception of what that scene should look like. So, as a director I have to convey their visions and thoughts on screen. As a television director, I face challenging situations on a daily basis. For example, what do I do if my actor is not able to emote or perform? In Veera, getting a 3 month old baby to emote was probably the most difficult task for me. Fortunately, the baby girl was very close to me because 80% of the time, when we were not shooting, she was in my arms. So, in order to make her laugh I had to make cooing sounds, play games etc, just so that she would smile and we would get her close up! So I was practically a puppet in front of her and she would give her cute expressions. As a director, I am constantly giving input to take the scene a level higher than what the writers and creatives have conceptualized. TG: There is a thin line between love and fascination and most directors have to be in love with their subject…What attracts you to a subject? WS: I would say that playing around with emotions is my forte. I don’t fall in love with a particular story, or a character but I do fall in love with the emotional complexities in a show. When I start looking into the emotions involved, I start connecting my actor to the character and that helps me understand the capacity of my actors. For me the connection is very important. I don’t just come and execute the scene and say ok let the camera angle work or let the background music talk about it. Luckily my schooling was very performance oriented and you can see that in all the shows I direct. I do not pick up a show if it is a typical drama. Even when I had started my career, I had just become a director and was struggling but I never felt like going to the typical production houses and joining their shows. I would rather do a horror story and I have done a lot of work for Disney. There was a show called ‘Break Time Masti Time’ and I did this a while back when I was just starting out as a director. I thoroughly enjoyed working on that show because it was a very different format. TG: Do you think Directors get their fair share of credit? WS: Unfortunately directors do not get their fair share of credit. Currently, there are around 5-6 set up directors who are called to launch a show. So as set up directors we launch a show, work on it for 3 months, get the characters right and then we get an executive director to execute the show. So, that is how television has been functioning. Personally, I tend to continue with a show so I won’t just launch it and leave it after two months. Most shows start with a fresh story or concept and then go back to the ‘saas-bahu’ drama but that is what gets a show its ratings and earns money for the people involved. I usually tend to leave a show once it starts going down the typical daily serial route but if I can manage to stay back and try and add something new to the old story-telling then I am happy to take on the challenge. Usually, most of the credit ends up going to the actor or actress because they become the face of the show. In fact, most actors and actresses will not give any credit to their director and that is the sad truth…but that is television. I always joke that when an actress wins an award, she should first thank her cameraman and makeup dada because they work quite hard to make her look good! Indian television is extremely commercial and money minded and somewhere along the line, the director’s hard work just gets lost in all the layers. 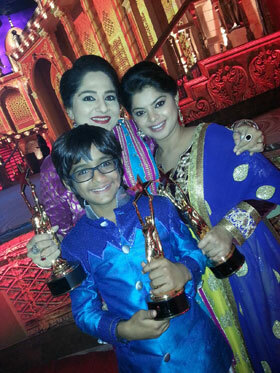 WS: Veera was a huge learning experience for me. Veera might have been a simple story but there were so many emotional complexities in each relationship. It was an enormous challenge for me as a director because I had to get little kids to emote! First of all, both Harshita and Bhavesh are extremely gifted actors but at the end of the day they are children and every single day on the shoot used to be a vacation for them. They had their milk, biscuits, Maggi, lunch…it used to be a picnic and then I had to make them do a serious scene! They used to do so much ‘masti’ and there were days when I would literally walk away from the shoot ki tum shooting kar lo, mujhe nahi karna hai because itni masti and mazaak would be going on! Also, with Veera, I used to observe the kids and find ways to use their personality traits in the characters. For example, when we were shooting with Harshita, I observed that she used to ask a lot of questions…I mean she is a book of questions. So, I told Shagufta ji to just react to her questions and it worked! Both Bhavesh and Harshita are really good at ‘ratto maaroing’ their lines so dialogues were never an issue but how do you explain the emotions behind the lines? So, I had to stand right next to the camera and tell Harshita to look angry, look surprised, smile etc. TG: as a director, do you also give your input on the storyline? For example, if a certain twist does not sit well with your sensibilities…do you give your input to the writer and producer of the show? WS: Yes, I do give my input because I am just as responsible for taking the story forward. I have given a lot of input on IPKKND 2. There have been times when the highlight of a particular episode was not in the screenplay and we have added it while shooting…on the spot. I have had many disagreements with the creatives because I get really annoyed when a show starts going in that typical daily serial route. But then the creatives tell me about the ratings etc and it is what it is. So, even if we have to go that daily serial route, I say ok but I will shoot it in my own way and there will be no compromises on that. Apart from inputs on the story, I also like to add nuances to the characters. For example, in Veera, there are a lot of nuances that were not there on the script level but were added to the characters. A lot of the things that ‘Moti Chaiji’ did came from my naani’s mannerisms. In fact Moti Chaiji was never called ‘Moti’ Chaiji initially. It was something I would say affectionately so I figured if the kids called her ‘Moti’ then it will sound really cute. When I was working on Maryada, my day would start even before I woke up because Deeya Singh is a morning person and she would know the whole schedule for the day. So she would call me up just as I was waking up to discuss some scene and I would laugh and tell her…please let me wake up, shower, have my chai and then we’ll discuss the scene! So during Maryada, there were so many times when the creatives would get mad at me because I added something but then I would tell them that the scene was shot according to my morning discussing with Deeya. Luckily, I have established a credible name for myself and my producers and the channel understand the way I work. They will discuss things with me and give me the creative space I need. TG: Please tell us about your experience on IPKKND2? Did you receive a lot of criticism from the fans of IPKKND 1? 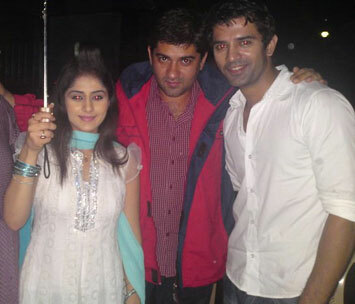 WS: IPKKND 2 was a bit of a challenge because it was being launched on a 6pm slot. I had not done the initial episodes but then I was brought in because there were some clashes between the perceptions of the channel, the producers and the actors. Fortunately, 80% of the actors on the show had worked with me on previous shows so they were familiar with my style and work. When I came in, I told Manish Wadhwa, Avinash and everyone else that they will need to unlearn what they have learned. They were quite surprised and asked me what I meant! I always do this exercise because they are seasoned actors and have worked on various shows. So when they have to react to a particular line they will do it in a particular manner and I always tend to change that. So, now that I have told you this, you will be able to see the difference in IPKNND2. I don’t accept typical reactions because as a director I am always looking for ways to take a scene to a higher level. 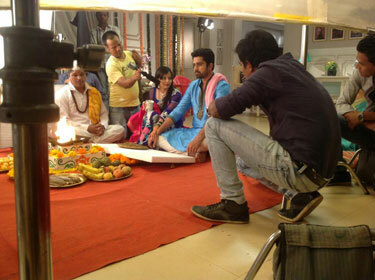 We do a lot of masti on the sets of IPKKND2, especially when I am on the floor. The show is very serious, we shoot 30 days a month for 13-14 hours each day, so we need to find ways to keep the atmosphere light and stress free. I have this game on my iPad and most of the times when an actor is not shooting or the crew has a break you will find them sitting in some corner trying to break each other’s record on the game! 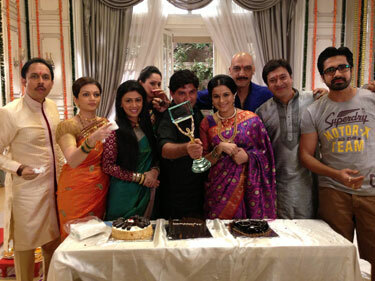 When IPKKND2 started there was a lot of hatred and gaalis! In fact when I joined the show I used to receive a lot of abusive emails. People don’t understand that even though the online audience is important, they do not give us any ratings. So frankly speaking, even if IPKKND1 was popular, it did not rate too well. At the end of the day what matters to the channel are the ratings. So, I used to receive a lot of hate mail and I never reacted. Few months down the line, the same people sent me messages saying – well only the name is the same but the story is completely different and we are loving it! What more do I need? TG: as a director, what are your strengths and what do you find challenging? WS: I am not the kind of director who believes in taking shots, camera angles, certain kind of lighting, letting the camera talk etc. I believe in performances and I have proved this through shows like Baat Humaari Pakki Hai, Dharmpatni, Phir Subah Hogi etc. Phir Subah is very close to my heart because it was a very complex subject where you are talking about a prostitute’s house and what happens in her life. I dealt with that on a very human front. 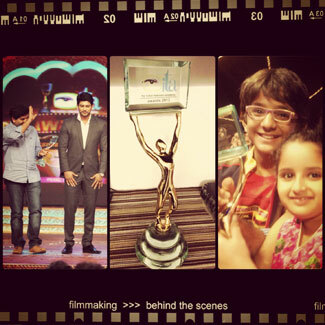 I dealt with ‘Maryada’ in the same way and was very happy with the way that show turned out. It was also a very complex show about 4 women. People used to ask me...do you think like a woman? I would reply…no, I think like a character. This is how I would react! I am a face reader and I always delve into a person’s psyche so I can add bits and pieces of that particular actor to the character. I always observe and study the people around me and try and inculcate my observations in a character. I used to be a very hot headed guy few years back. But now I am patient. Most of the actors tell me that they look forward to coming back to work with me. I think I have mastered the art of HR. Man management is so important because you are managing so many people on the set. It becomes very challenging for me as a director when I need my actor to enact a particular scene but he or she might not be in a good mood because of health or personal issues. Yahaa par meraa kaam bahut bad jaata hai. So, we try to find an alternative route and not take too many close ups etc. Another challenging situation comes up when we have an important scene but the main actor is unavailable so we have to work with dupes. My job is full of challenges from the moment my day starts till the time I get back home. I might get a call from the creatives that we have to go back and reshoot a scene we have already shot. So we have to go back to that scene, do the set and lighting accordingly and then reshoot. Plus we have a certain amount of minutes to shoot and if that does not happen it will mess up our telecast! Once I pack up, on my drive back home, I go into a mode where I go through my whole work day in my mind and I’ll make notes if I missed something in a scene…a close up, an expression or dialogue that could have been done differently etc. So before I reach home, I’ll call my assistant and tell him that the next day we will need to go back to those scenes. Once I get home…I switch off completely. TG: Sugni, Priya, Veera…your take on the characters and the actors? WS: Hmmmm….Priya in Maryada was a very strong character who became meek and scared because of all that had happened with her. 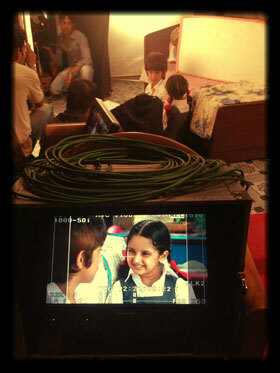 Ridhi is a very strong and independent girl and it was a huge challenge to portray her as this scared and jittery girl. I found it extremely challenging to show her as a vulnerable girl. You know, there were times when I had to tell her to tone down her dialogue delivery and I would have to tell her – no, you are a girl with a lot of baggage…keep that in mind. So I would tell her – don’t be strong, you are not strong at all! You cannot have a confident stride, you can’t hold your nose up, tilt your chin down etc. Sugni: Again, a very strong character and also a challenging one for me. Sugni knew that she was an illegitimate child, she knew who her father was but she could not call him her father. So imagine growing up surrounded by all this, what will your state of mind be? I remember when we were casting Sugni, we had a few options but I saw Gulki and knew she would be perfect for the role. Gulki had this earthen raw quality and we did not want a girl who would look too modern and sophisticated. Sugni had to be someone who could just sit on the floor with her feet folded and not look odd. Gulki is spontaneous, strong and that is what Sugni was all about. Veera: happened by default and I think most people are aware of how we found our Veera. 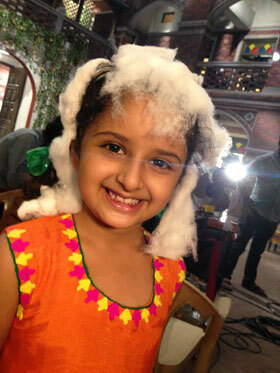 Harshita had actually come to Punjab to play another character. Fortunately or unfortunately her scene with Ranvir kept getting delayed and we had to cut down the days of shoot in Punjab. So we wrapped up and sent the kids back home. When we got back to Mumbai, we were told that we had to return to Punjab to shoot the promo but the channel wanted the older Veera in the promo. So, Harshita had already had her look test and when I saw her in the promo I said..baba, yeh to wohi ladki thi joh Punjab aayee thi…and we had our Veera! TG: Do you go back home and watch your own shows? WS: I don’t watch Indian television because once I am back home I don’t want to watch anything that is related to what I did the whole day. I have caught the initial episodes of Bade Acche Lagtey Hai. There was a show that I have actually gone and looked for on YouTube and that was a show called Dhadkan. It was one of the best shows that I have watched. Also, I used to love the way Ladies Special was written.